Organizing, selling, donating, packing, loading, unpacking? Saying goodbye? NOT GLAMOROUS. Not one bit. In the past 13 years, I've made the following moves: Illinois to Yellowstone to Tahoe to Indianapolis to Denver. But this move? Denver to Maui? That's the biggest move of my life. And it's not just the 3300 miles from here to there. A lot of different, challenging moving pieces. More than just driving from point A to B with a moving truck in tow. 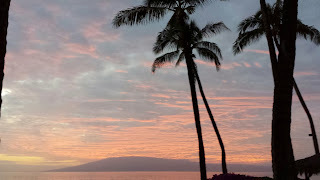 All I can say is that I've learned A LOT as a part of my recent move to Maui. And I'm going to share it with you. Even if you aren't planning to move to paradise. Yet. Paradise, is that you calling? 1. Know that it's going to take a while for your household belongings to get to the islands. The farther away you live from the shipping ports (primarily in Southern California) the longer it will take. My stuff was packed up by the movers on October 29 and it's scheduled to arrive on December 2. If you're going to need it within the first 30 days, you're probably going to want to put it in your luggage. Moving to Hawaii was considered "international" by my relocation company and they needed me to complete an inventory of my household goods and their value to be replaced at my new destination. If your company is paying for your move, they are probably going to limit the number of pounds of goods you can bring (maybe 2000 - 5000lbs). If you are paying for your move, you're going to want to be frugal as well. If you don't love it, leave it. 2. Shipping your car? It's probably going to have to be empty and clean. The shipping companies are not interested in you packing your car like it's an extra piece of luggage. It's not. Also, the gas tank has to be pretty empty. Get a copy of the walk-around inspection so that you can audit your car for damage when it arrives. 3. 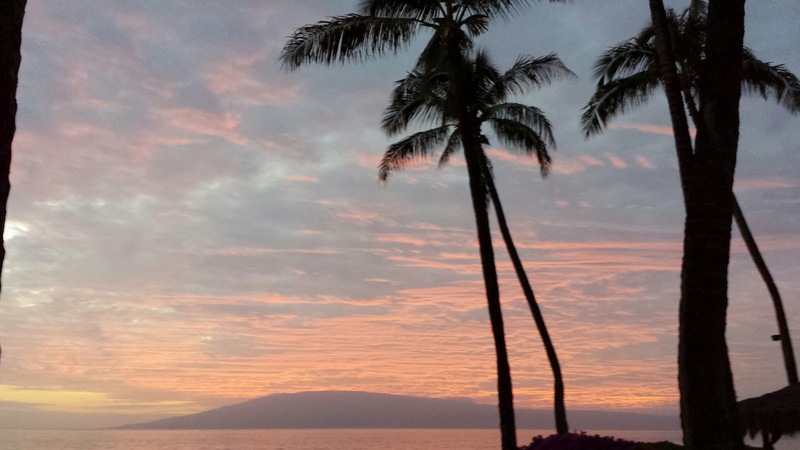 Let your car insurance company know that you are moving to Hawaii. Find out if they will cover you there. You will have to have Hawaii coverage in order to register your vehicle. You'll also have to have an original copy of your Hawaii insurance with a seal/impression for the safety check. 5. Get on it means get on the phone. You'll learn more faster. When it comes to rentals, not everyone emails or texts. 6. Craigslist is your friend. There are no "apartment guide" magazines here at the checkout at the grocery store like you might find in a major metro area. If you see something on Craigslist that you want, refer to #4 and #5. Get on it. 7. Word of mouth. Ask friends or co-workers if they know of a place to rent. And then....you know. Get on it. 8. The health/dental insurance companies, for the most part, are different than what's on the mainland. If you are transferring with your company, your HR department should be able to give you information about your new coverage. 9. At least here on Maui, I've found that the banks are Hawaii / Pacific specific. Before I left Colorado I checked to see if any of the big banks (US Bank, Wells Fargo, etc) were on Maui. They are not. I haven't yet opened an account at a local bank, but I probably will for the ease of rent payments and ATM convenience. 10. There is a word for "locals discount." As my co-workers teased me, you can't ask for it if you can't pronounce it. And you'll probably need to have a Hawaii ID to back it up. I'm pretty sure my learning is in no way done. There may be another list in my future. Any other advice for those moving to Maui (or Hawaii in general) from the mainland? And it has the word kama'aina.